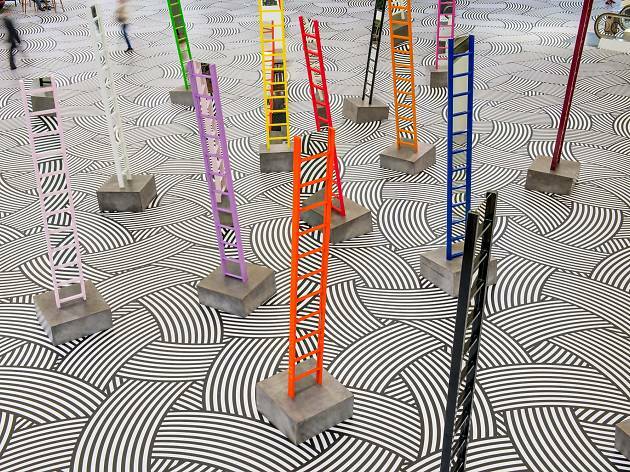 Scottish contemporary visual artist and 2005 Turner Prize nominee Jim Lambie is transforming the Pacific Place’s Garden Court into his personal canvas to present a new site-specific public art installation – and his largest floor installation to date. 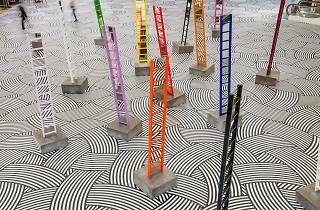 Bringing together two of his signature engaging sensory work, see 15 ladders with mirrors installed between steps, painted in a range of vibrant colours anchored in overlapping formation over a sweeping floor painted in an interwoven pattern of monochromatic curves laid in vinyl tape. 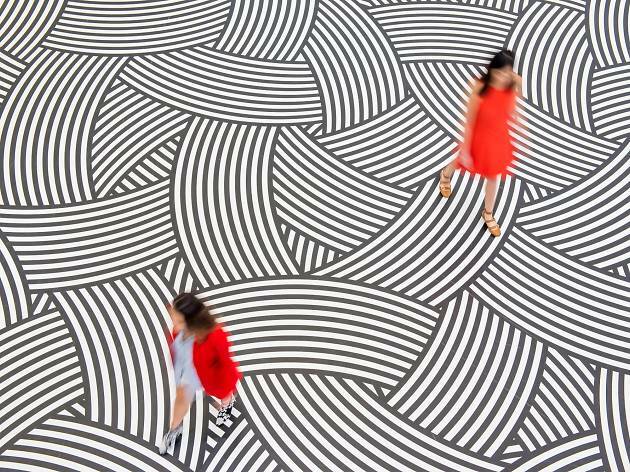 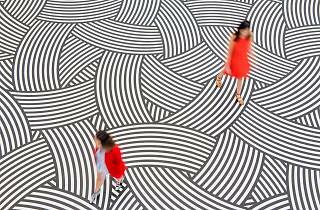 It’s an unmissable visual feast for the eyes.